The Jersey Blues were raisd in 1755, by the New Jersey provincial government. It was originally composed of five companies, and was sent to the northern frontier, to guard it against the French. 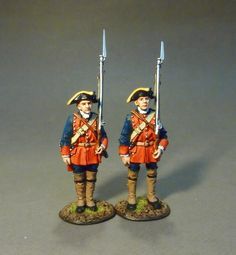 They were known as the "Jersey Blues", partly from the blue coats of the regiment, and partly from the similarlity of the uniform to that New Jersey used in the war of Jenkin's Ear. On April 4 1758, the General Assembly of New Jersey voted to increase the regiment to a strength of 1,000 officers and men, including 100 grenadiers. In 1755, a regiment of New Jersey Provincials (500 men), known as the Jersey Blues, joined Shirley's expedition against Fort Niagara. The regiment was under the command of Schuyler. The expedition departed from Albany and slowly advanced towards Fort Niagara along the Mohawk River. By mid September, Shirley realised that Fort Niagara was too strongly defended and abandoned his project. He retreated to New England, leaving the New Jersey Provincials to garrison Oswego. In December, the regiment was recalled to New Jersey where it took position on the frontier till next spring. In the spring of 1756, the regiment was again on the northern frontier. It was divided into two parts, one garrisoned at Schenectady, while the other was placed under the colonel's direct command. This latter detachment (500 men) was part of Shirley's force which assembled in Albany in May. In August, when a French force under Montcalm laid siege to the complex of Oswego, 150 New Jersey Provincials were garrisoning the small Fort George. On August 14, when Oswego surrendered, the detachment of Fort George, including Colonel Schuyler, became prisoner of war and was brought back to Montréal. A new enlistment in New Jersey compensated for these losses. In 1757, New Jersey refused to increase its contribution from 500 men to 1,000 men. In July, a detachment of 300 provincials, chiefly New Jersey men, was sent from Fort William Henry under command of Colonel Parker to reconnoitre the French outposts. On July 26, a large band of Indians, led by the French partisan Corbière, ambushed the detachment of New Jersey Provincials not far from Sabbath Day Point on the western shore of Lake George. Parker had divided his force and at daybreak three of his boats fell into the snare and were captured without a shot. Three others followed and shared the fate of the first. When the rest drew near, they were greeted by a deadly volley from the thickets, and a swarm of canoes darted out upon them. The men were seized with such a panic that some of them jumped into the water to escape, while the Indians leaped after them and speared them with their lances. Only some 100 men and three boats made their escape. In the following month, on August 9, the remainder of the regiment, only 301 men, were captured and paroled at the end of the siege of Fort William Henry, under condition of not serving again during 18 months. After the fall of Fort William Henry, New Jersey contributed 1,000 militia who marched to reinforce the British army while another 3,000 New Jersey militia were ready to march if it should be necessary. In the spring of 1758, the regiment was reformed under Colonel John Johnson, officially counting 1,000 men. In July, this new regiment took part in the expedition against Carillon (present-day Ticonderoga). On July 5, they were embarked at the head of Lake George. On July 6, at daybreak, the British flotilla reached the narrow channel leading into Lake Champlain near Fort Carillon and disembarkation began at 9:00 a.m.. On July 8, they fought in the disastrous Battle of Carillon. At daybreak on July 9, the British army re-embarked and retreated to the head of the lake where it reoccupied the camp it had left a few days before. 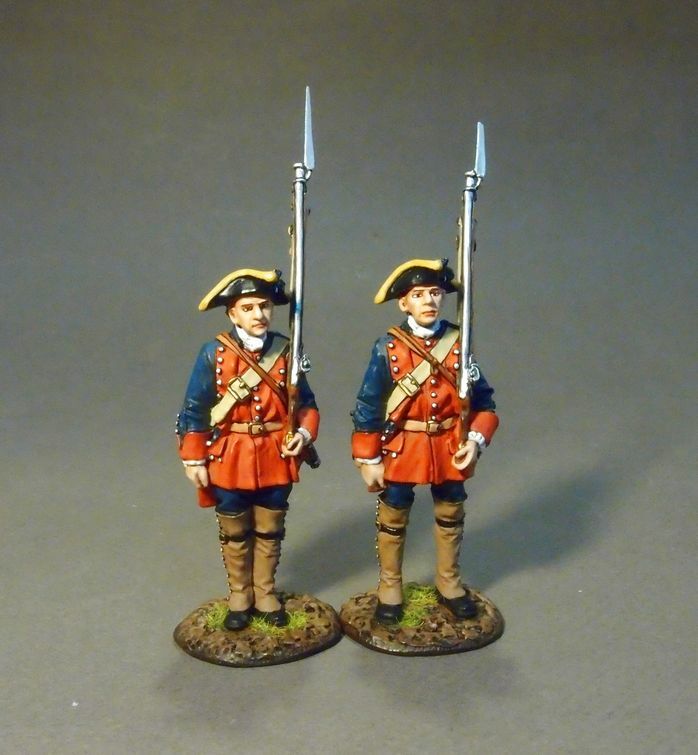 The New Jersey Regiment was the only Provincial Regiment to have a Grenadier company.